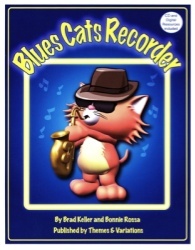 A collection of eight songs in blues forms ranging in style from the Swing era to Heavy Metal Rock. The songs work with recorder or with barred Orff instruments. Songs 1-2 use BAG, 3-4 add E, 5-7 add C', and 8 adds Bb. Each song contains an improvisation section!